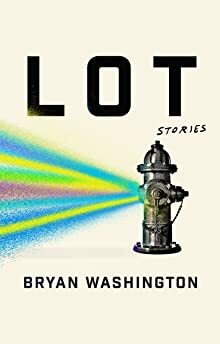 Largehearted Boy: Bryan Washington's Playlist for His Story Collection "Lot"
Bryan Washington's impressive debut collection Lot brings to life the Houston of the narrator while poignantly exploring race, class, and sexuality. "A sensitive portrait of life among Houston's struggling working class.... Washington writes with an assurance that signals the arrival of an important literary voice." Honestly, the bulk of Lot was written to Frank Ocean’s Blonde and Hiroshi Yoshimura’s Music for Nine Postcards. Those records informed my life, so they had an outsized influence on the book. But the mood and feel of certain stories and characters were scrambled until I heard other tracks -- chord progressions and choruses and motifs I could connect them to. They’re what I turned to when the process felt convoluted. Which was often.